A stunning, evocative novel set in Ireland and Canada, Away traces a family’s complex and layered past. The narrative unfolds with shimmering clarity and takes us from the harsh northern Irish coast in the 1840s to the quarantine stations at Grosse Isle and the barely hospitable land of the Canadian Shield; from the flourishing town of Port Hope to the flooded streets of Montreal; from Ottawa at the time of Confederation to a large-windowed house at the edge of a Great Lake during the present day. Graceful and moving, Away unites the personal and the political as it explores the most private, often darkest corners of our emotions where the things that root us to ourselves endure. 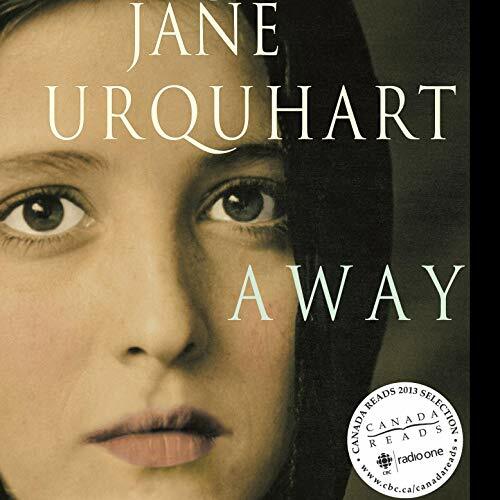 Powerful, intricate, lyrical, Away is an unforgettable novel. ©1993 Jane Urquhart (P)2018 Audible, Inc.